If you are looking for a place with a beautiful red desert landscape, activities for all ages, and a nightlife catering to both common and exotic tastes, Springdale, Utah is the place for you. 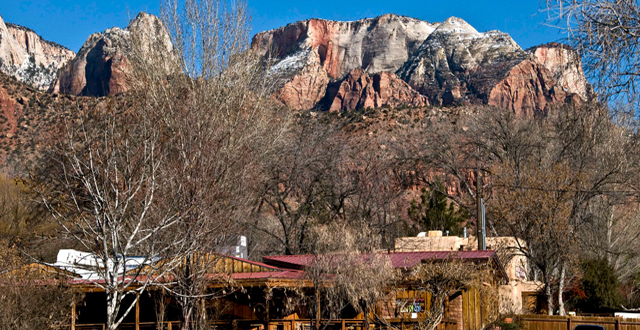 This town is not merely a "gateway" to Zion National Park. With a population of about 500, Springdale annually welcomes about three million visitors from all over the world. You'll meet people speaking exotic languages everyday, and to please all these visitors there are many recreational, dining, and lodging options in Springdale. 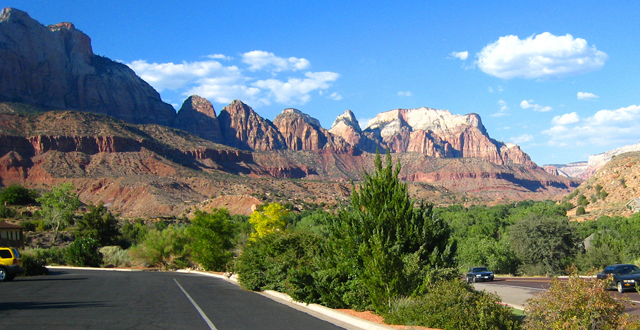 As a recreational haven, many come to Springdale to hike, camp, bike, ride ATVs, ride horseback, climb, canyoneer in slot canyons, and wildlife watch. You can find something exciting to do regardless of your age or fitness level. For your convenience, several companies cater to the needs of many activities so that you can leave your gear at home, if you want. With hot summers and mild winters, you can come and play in Springdale all year. For a change of pace, you can watch movies on one of the largest movie screens in the world near the entrance of Zion National Park. The Zion Canyon Giant Screen Theatre in Springdale also screens "Zion Canyon: Treasure of the Gods" on its 60 by 82 foot screen - the largest in Utah. To spice up your stay, restaurants in Springdale provide an abundant variety of food - Mexican, Italian, pizza, gourmet sandwiches, etc. Springdale is known for its nightlife since many of these restaurants have live entertainment and bars. Regardless of your tastes, the cuisine of Springdale will please all. There are also plenty of places to stay in Springdale. Over 30 hotels, motels, bed & breakfasts, and campgrounds will meet any niche - from posh, comfortable rooms to rustic camp sites - with over 1,100 lodging units ranging in price from modest daily fees to about $250 per day. However, you will spend little time where you stay because there is so much to do and eat. To find out more about Springdale explore TravelWest.net.